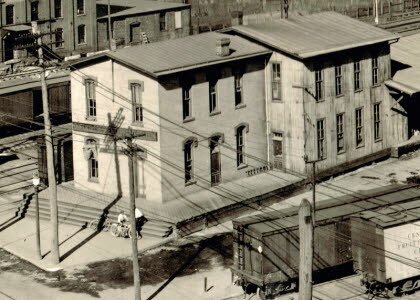 A treasure trove of Chattanooga photographs that have been passed down in the Stokes family for generations has now been assembled in an upcoming book. Chattanooga Around The Turn Of The Century: The Remarkable Stokes Collection will be published by Chattanoogan.com. Pre-orders are now being taken for the book, which includes over 700 photos on large-size pages. 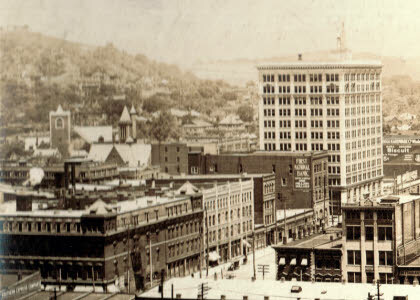 Publisher John Wilson said, "I first got a glimpse of the remarkable Stokes collection of old Chattanooga photos when I interviewed Ann Forstner Cooper Brooks, granddaughter of Will Stokes, in 1995. At the end of the interview at her apartment at Mountain Creek, she pulled out boxes of well-worn albums containing literally hundreds of amazing Chattanooga scenes. 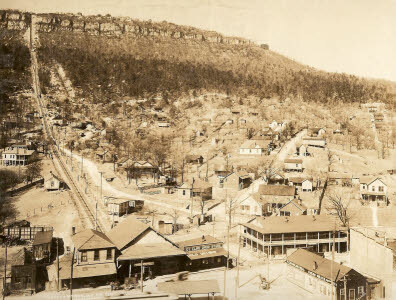 Though I only got a quick look, I could see there were numerous views of turn-of-the-century downtown from Cameron Hill, Lookout Mountain, and the few skyscrapers of the day. There were photos of the city’s well-known landmarks as well as charming pastoral scenes. I saw there were dozens of photos taken at Chickamauga Battlefield soon after it opened as a national military park.There were dozens more photos of the trains and streetcars that were then the city’s dominant form of transportation. Many of the pictures showed Chattanooga streets being shared by horse-drawn wagons, early automobiles and streetcars. "Best of all, these were large, remarkably clear photos that were evidently produced by talented photographers using a fine camera. "It was 19 years later when I got the privilege of seeing them again. Larry Burrows, friend of the children of Ann and a lover of local history, was allowed to scan and copy pictures in the Stokes collection. He shared them with me and eventually there was a conversation with Ann’s daughter, Connie Cooper Jones. She graciously agreed to allow full access to the collection so that they could be put in book form for all to see and enjoy. "It turns out there were boxes and boxes of photos in the collection from early Chattanooga photographer David Stokes and son, Will Stokes. David Stokes was in Hamilton County before the Civil War and he fought with the Union Army. He married Mary Tennessee Fitzgerald, whose family was from Ooltewah. David Stokes was a painter and he also tried his hand at watchmaking. He was briefly the proprietor of the Eblen House, which was on Market Street between Fifth and Sixth streets. But, by the time he died at the early age of 58 in January 1901, he was known as one of the city’s most prominent photographers after opening his photography shop on lower Market Street about 1881. "Son Will Stokes was even a more enterprising photographer than his father after learning the craft from him and from A.W. Judd. It was said that his 'close application to his business and a continued study of modern improvements earned for him a reputation that spread to other cities.' His first shop was opened in East Lake about the time of his father’s death. "Will Stokes kept in his shop the photo books that still are a prized possession of his descendants and thankfully have been passed down and preserved. The photos were numbered, and a customer could pick out the ones he or she wanted prints of. 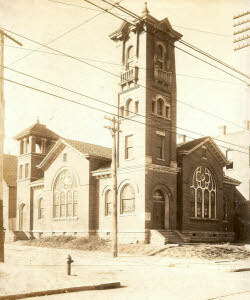 "Will Stokes served a term as president of the Chattanooga Society of Free Masons and was master of the F&AM Lodge 199. He suffered a lengthy illness when he was in his 50s and died in 1922 when he was 55. "Some photos from the Civil War are in the Stokes collection and there is a picture of Market Street showing the New Orleans Store in 1875. 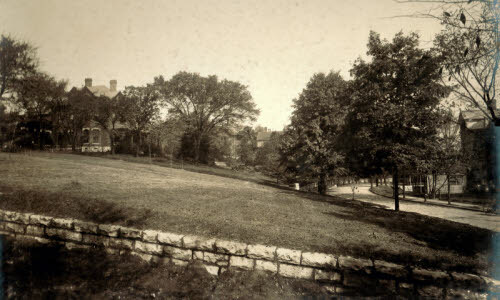 Some other early photos remain, including an interesting one showing 9th, 10th and 11th streets around 1890. 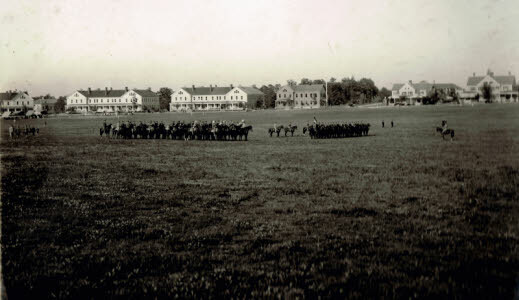 Many of the photos were taken by Will Stokes between around 1901 to 1920. The Walnut Street Bridge is the only bridge in view in many of the river scenes. But he made several of the new Market Street Bridge that opened in 1917. "With photo software, it was possible to capture and highlight interesting details from many of the Stokes photos so that the original number in the collection was multiplied. Thanks to the interest of Larry Burrows and the gracious generosity of Connie Cooper Jones and her brothers, Jim, Joe and John Cooper, I am thrilled that the remarkable Stokes collection can now be seen and enjoyed by all." The photo book will be in a 11x8 1/2 format with a soft cover. The number of copies to be printed by College Press at Collegedale will be based on the initial orders, so there will be a limited run. The photo book is due to be ready for mailing or pickup around the first of November in time for Christmas giving. The price of the book is $35. For those who want it mailed, add $5 and list where copies should be mailed to. Send checks for $40 to Chattanoogan.com. For those who will pick up the book from John Wilson at later designated locations, send checks for $35 (for each book ordered) made out to Chattanoogan.com.